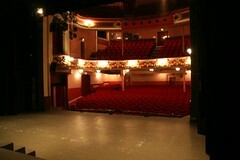 Marking a creative new chapter for arts in South Ayrshire, Ayr Gaiety Partnership has been awarded Capital Investment from Creative Scotland to redevelop Ayr’s Gaiety Theatre; transforming the historic South Ayrshire venue into a vibrant hub of theatre and arts activity for South Ayrshire, including a studio, education space, digital screen facilities and flexible spaces. (Development award £52,298; provisional Stage 2 award £1,176,277). 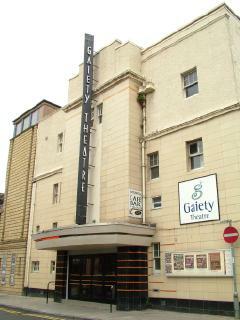 The Gaiety is one of sixteen projects for development announced by Creative Scotland on 25 September. The awards, for buildings and public art projects, will support organisations to develop ambitious new plans taking place across Scotland. Each project will now begin a detailed development stage and almost £15 million National Lottery funds has been set aside by Creative Scotland to support successful final plans. “Great cultural facilities in every part of Scotland allow many more people to experience, enjoy and learn about a range of creative work. We are delighted to support Ayr Gaiety further develop its ambitious plans and we look forward to receiving full project plans that can invigorate the arts and creative industries across South Ayrshire. Involving local people in all aspects of activities, the hub will provide a platform for Community participation”. “AGP welcomes the announcement of development funding from Creative Scotland. We hope to secure the full award in due course and augment this with other sources of funding. This will then form the basis of Phase 4 of the Gaiety Capital Programme on a basis to be determined. Meanwhile we look forward to the reopening of the theatre in December with our inaugural pantomime, Cinderella”. The development of the Gaiety will invigorate the arts and creative industries across South Ayrshire through wide ranging partnership working. The Gaiety will provide a base for arts programming, education and participative activity, and a social hub for those interested in the arts and creative industries. The hub will directly improve the quality of life and opportunities for local residents, involving local people in all aspects of activities as audience, participant and volunteer. Practitioners and students will benefit from training and showcasing opportunities, and a year round programme of activity will contribute to economic regeneration and the visitor economy. The Gaiety will be the premier performing arts venue in South West Scotland, presenting the best of mid and small scale Scottish touring. West of Scotland (UWS), alongside a creative platform to support both aspiring and established practitioners in the arts and creative industries. To be a vibrant community hub to support and stimulate participation in arts and creativity. To showcase the best creative work from professional, amateur and educational practitioners. To help form close working relationships with Scotland’s small and mid scale producers and touring companies and selected international companies. To develop capacity to provide a programme of outreach work in partnership with local venues and festivals. To seek out and develop new audiences for all artforms. To work as a catalyst for innovation, including initiatives in youth theatre, community music and disability arts. To provide a ‘thinking’ venue with a range of talks, seminars, summer school, and training opportunities. To stimulate the local economy as a destination venue for residents and visitors, improving the fabric of the town centre and contributing to the tourism offer of the area.